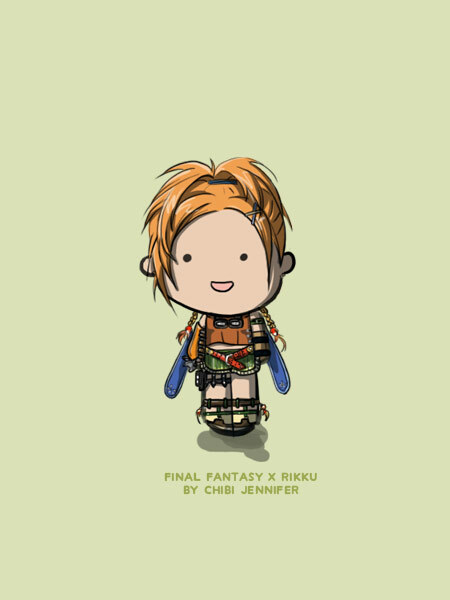 Chibi Doll~ Rikku. 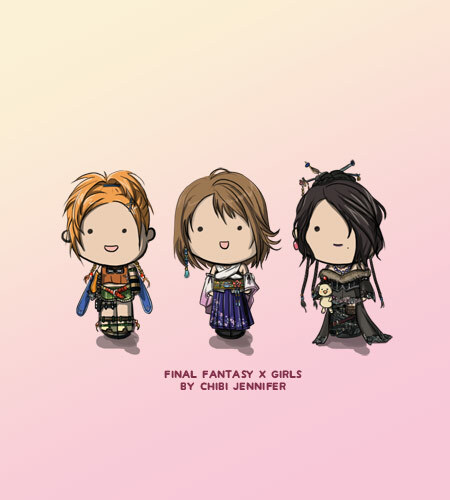 Final Fantasy X girls set complete! In the meantime.. enjoy these cuties :D! 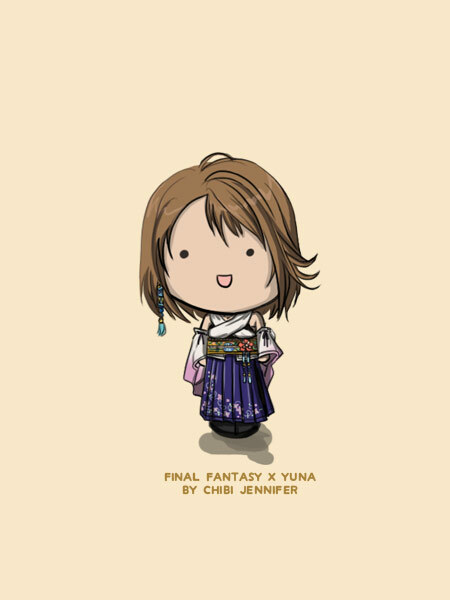 So I end up drawing Yuna today :) What a pretty outfit. 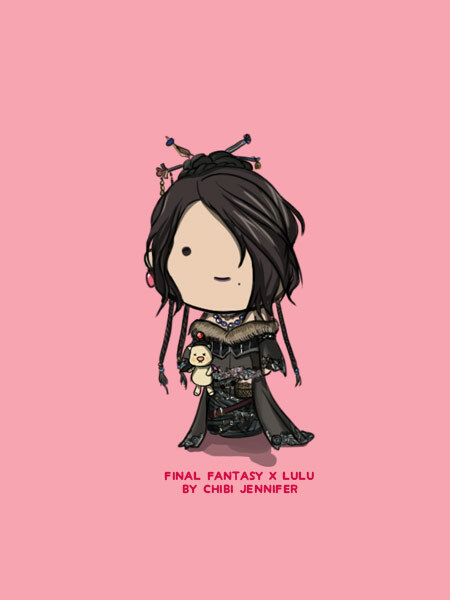 Now I just need to make a Rikku doll to complete the girls set! So I was feeling a little..oily..? 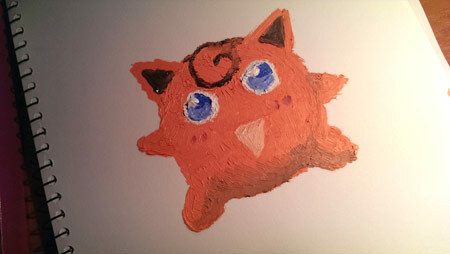 My finished painting. 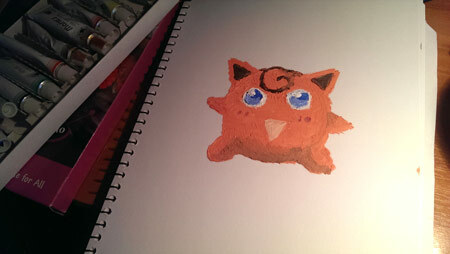 Looks kind of strange.. more like a Clefairy than a Jigglypuff. Oh noes! “Mr A came flying to the Moon…” WTH? 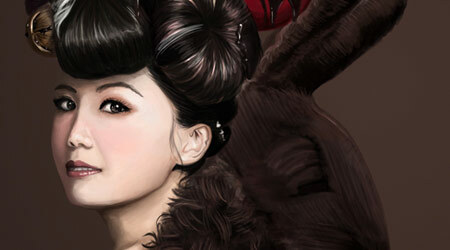 Today I finally finished a “new” painting of Chinese actress Liu Yi Fei! Technically it’s not a new drawing since I reworked an existing piece I did four years ago. 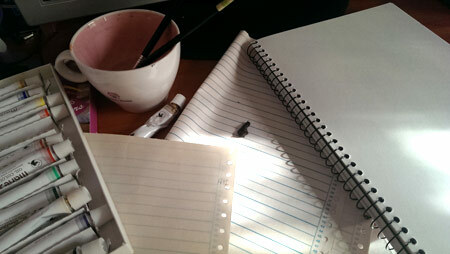 It looks pretty different though :) You can see the older versions here: Part 1, Part 2. I’m really happy with how this turned out :) I had a lot of fun painting her face and skin. Blending skin tones used to be what I feared the most, but now that I’ve grasped the basic technique, it’s not as scary. It just requires a lot of patience and lots of brushing! I finally got around to drawing a new Sailor Moon fanart :) A lot of my recent Sailor Moon related art has been in the form of comic strips (MoonSticks) or Chibi Dolls. It’s only when I realised the other day that my last proper fanart was from 4 years ago (Eternal Sailor Moon), that I knew it was time for a new one. I really enjoyed the process of making this. It took roughly 12 hours from sketch to finish and I’m really happy with how she turned out. I hope you love it as much as I do.